Watershed development and management is essential for the present as well as future constancy of water resources in a river basin. Watershed prioritization, planning and development are depending on the morphometric analysis of a basin. The drainages of a basin are mainly influenced on geomorphic appearances which show a dynamic role for monitoring the basin’s hydrology as per topographical characteristics. In this paper, the morphometric study was characterized by set of parameters i.e. linear, aerial and relief aspects of Varuna river basin (India) with the integration of geo-spatial techniques. The mean annual rainfall, Normalized Difference Vegetation Index, Digital Elevation Model and Land Use/Land Cover (LULC) were taken into account for this study. The annual rainfall pattern and its percentage departure were shown by high frequencies of drought conditions while the seasonality index depicts that mostly rainfall occurred in less than 3 months. Moreover, indices such as Standardized Precipitation Index and Standardized Precipitation Evapotranspiration Index were used to conclude past extreme drought conditions (1996–2002, 2010–2017) over the basin. LULC changes were monitored over the south-east and north-west part of river basin during the period 1977 to 2013. The results revealed that an increasing trend of urbanization was monitored due to a decrease in agricultural land by 40.71% in the lower part of the basin. Moreover, the overall study can be helpful to assess the quantitative depiction of basin geometry as well as land use pattern for future development of agricultural growth. 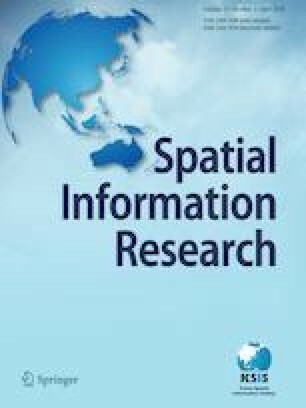 The authors would like to thank the CGIR-CSI for providing the SRTM DEM, Earth Explorer (USGS) for Landsat satellite imagery used for successful analysis of the study. In addition, we are thankful to IMD, New Delhi and JAXA for providing for providing rainfall datasets used in this study. Authors are thankful to DST-MCECCR sponsored by Department of Science and Technology, Govt. of India, New Delhi for accomplishing the study. Hack, J. (1957). Studies of longitudinal stream profiles in Virginia and Maryland. U.S. Geological Survey Professional Paper, 294–B. https://doi.org/10.3133/pp294B.